Let's be honest, ladies — every single time we flip it mid-conversation, shyly tuck it behind our ears or peek through it when it falls before our faces like a curtain, we know exactly what we're doing: making the stone cold heart of every onlooker melt like butter on the sidewalk in the middle of July. Whether you're rocking a face-framing pixie or waist-length layers, gorgeous, healthy hair is a gal's greatest accessory. But ironically, we often damage it in the process of getting it to that gorgeous state. After deciding to go red for the eighth time, our hair just can't take the abuse. For all the ladies with dry, over-heated hair; for all those who've gone six months too long without a hair cut; for all the strawberry blondes that were God-intended brunettes — let us introduce you to your new hair savior. Damaged hair, meet deep conditioner. We think you two will be very happy together. Our readers dished on the best deep conditioners (and hair masks — aka, one step up from deep conditioners) to help your hair finally reach its full potential. Use one of these after your regular conditioner once or twice a week: apply enough product to cover all of your hair, and put on a shower cap for the last 10 minutes of your shower. 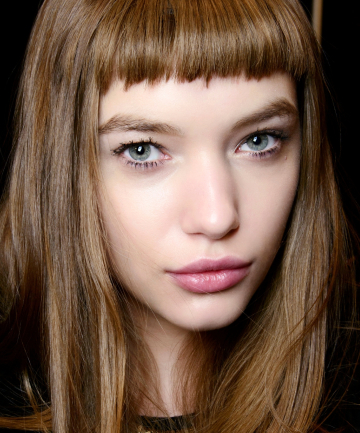 Let the stuff work its deep conditioning magic, and voila — healthy, beautiful, heart-melting hair. I especially like Neutrogena, Aussie, and John Frieda's "Frizz-Ease." I'm surprised Frederic Fekkai deep conditioners are listed. I tried Tigi Dumb blonde but didn't like it much. I do like the Garnier products better. I love Biolage - my former hairdresser "fried" my hair last year and this has been a life-saver for me!! I have tried Aussie deeeep conditioner, what so great about it says you can use it everyday ,so I did and it keeps my color treated hair soft and shiny. Have to try and buy this again. I am still on the hunt for a great deep conditioner. I have been meaning to try the Aussie deep cond. for some time now. Maybe the reviews will help me decide if I should. A good conditioner for damaged hair is the Pro naturals moroccan argan oil conditioner. I LOVE THAT STUFF!!!! Argan oil is just awesome and it makes your hair strong and healthy again. Aussie is great for the price!